Come Back Victory for Avare! one in which every boat had its moments of glory. 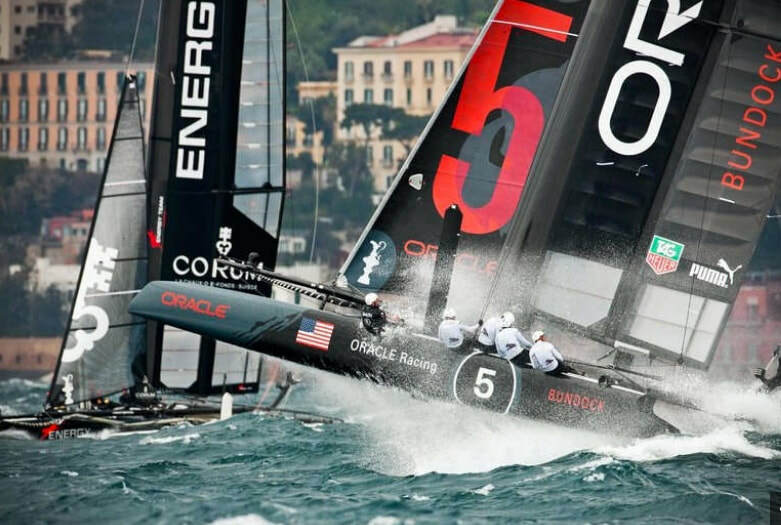 The 2013 America Cup sailing race will forever be remembered as one of the greatest comebacks in sports history. Team Oracle, down 8 losses to 1 win to Team New Zealand, roared back with 8 wins a row to win the trophy 9 - 8. 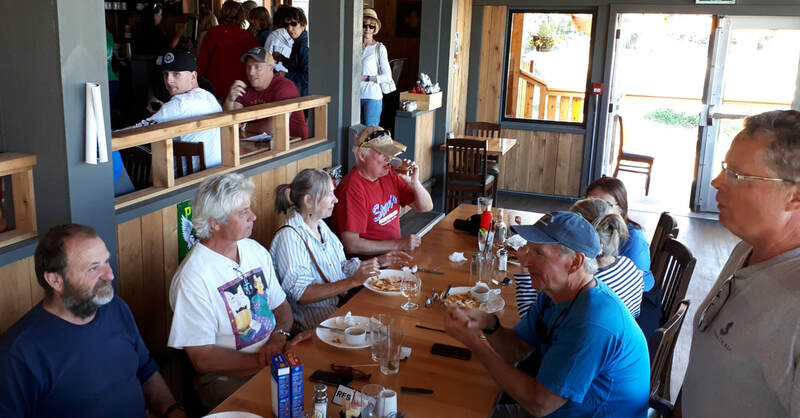 On a slightly smaller scale (in all respects), the 3rd AMIB Fun Race held on June 2nd in Plumper Sound, featured another great sailing comeback. 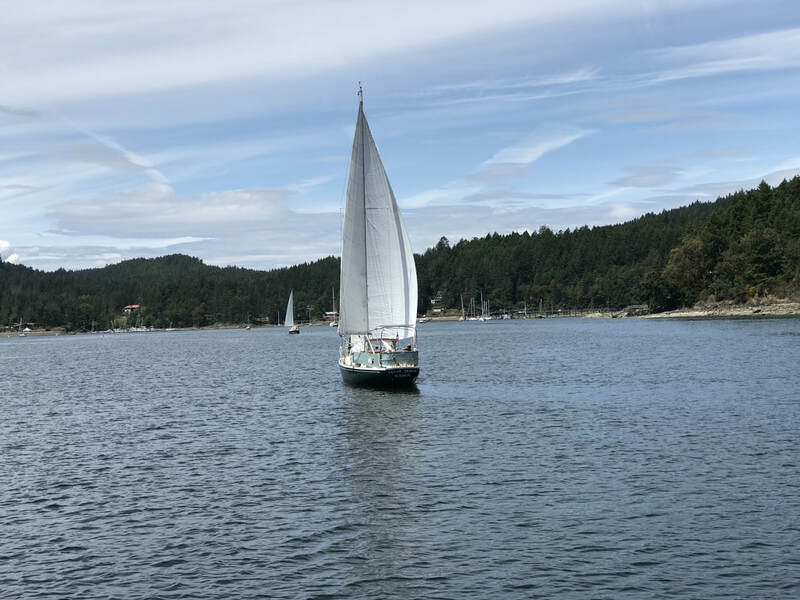 The AMIB race featured 4 highly tuned sailboats, real old-fashioned sailboats with keels, not the kind that flies above the water with alien looking airfoils. 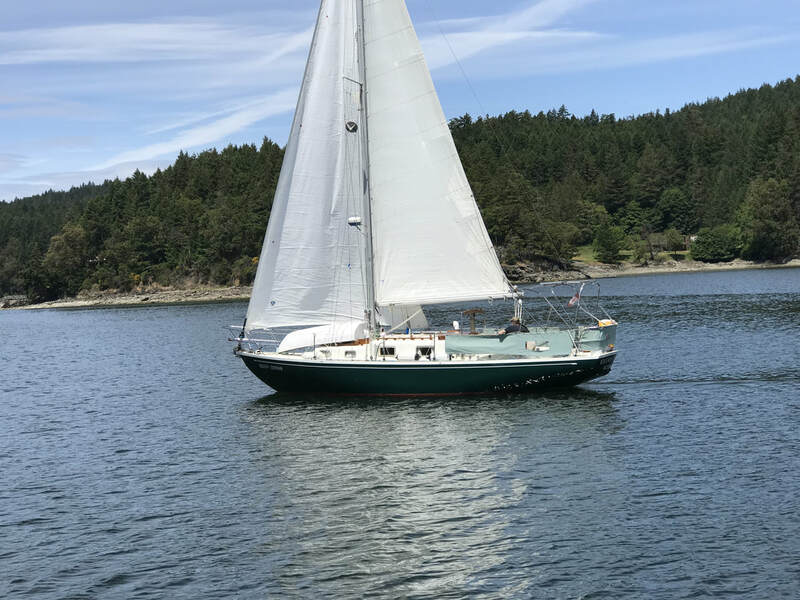 Avare, a Hullmaster 27 (Blair Smith and Emily Patenaude). 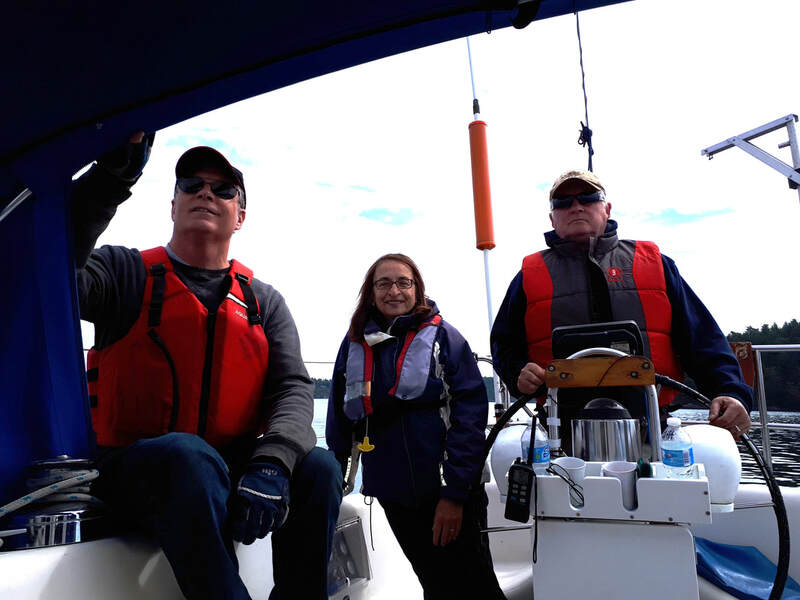 The committee boat, a Mainship 34, was captained by Peter Larsen. 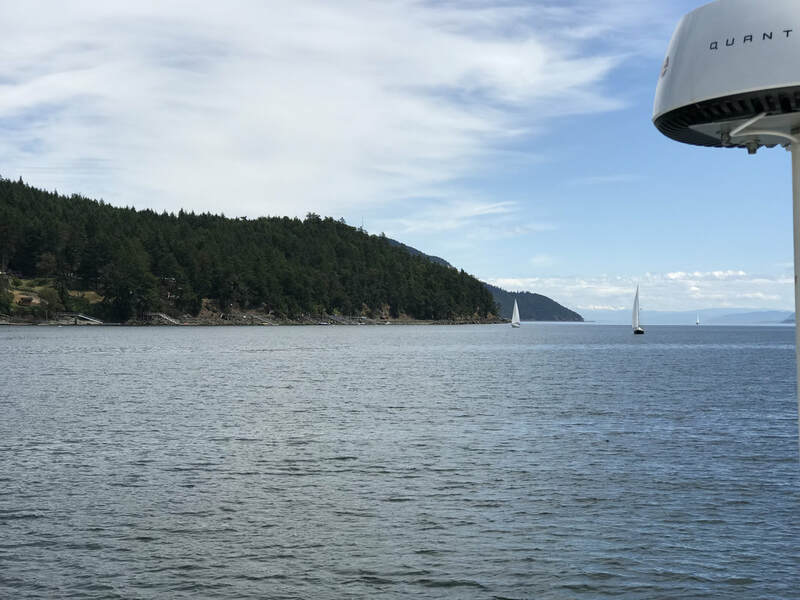 The original plan was to start off St. John Point, race down to Blunden Island at the end of S. Pender Island, then back to Pt. Browning and into the pub. 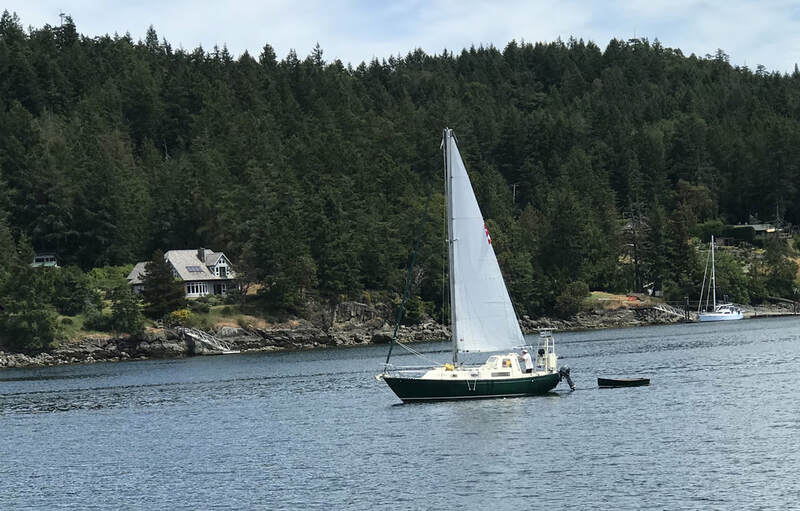 A change of course - Sailors often face too much wind, wind from the wrong direction, or not enough wind, and it was the last that made us forget about trying to get round Blunden Island. After all the idea was to finish in a couple of hours, not in a couple of days. Not to say that Avare was keen, but Avare began circling the starting line about 2 hours before the horn started. 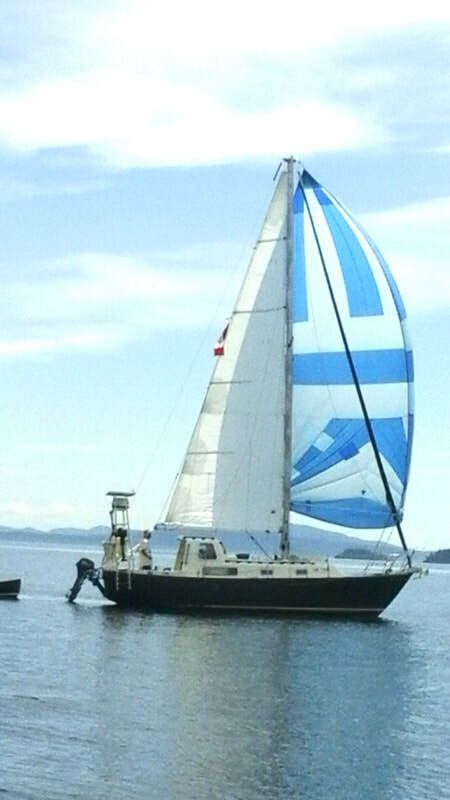 On the other hand, Eilean Donan sauntered out of Winter Cove minutes before the race started. Each to their own! 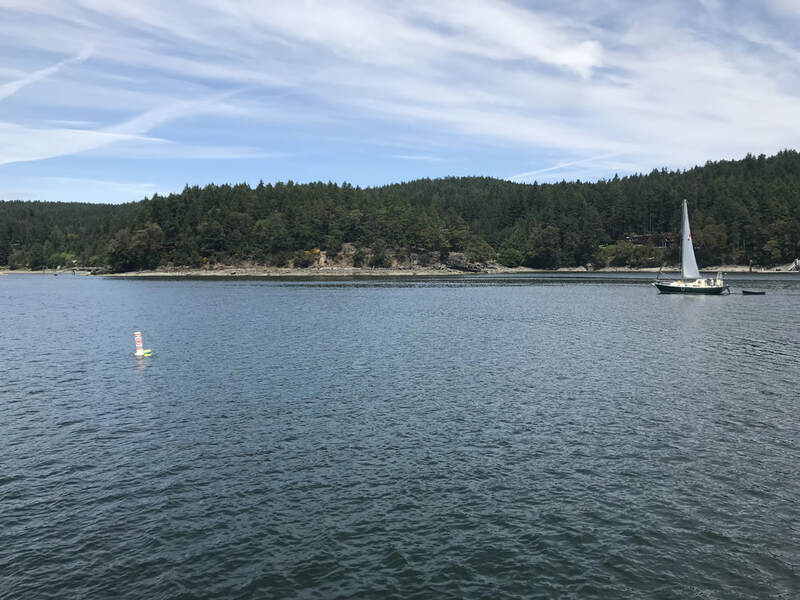 As the committee boat captained by Peter started the count down with its air horn, all the boats maneuvered into position near the starting line and were more or less pointing the same way towards Pt. Browning. 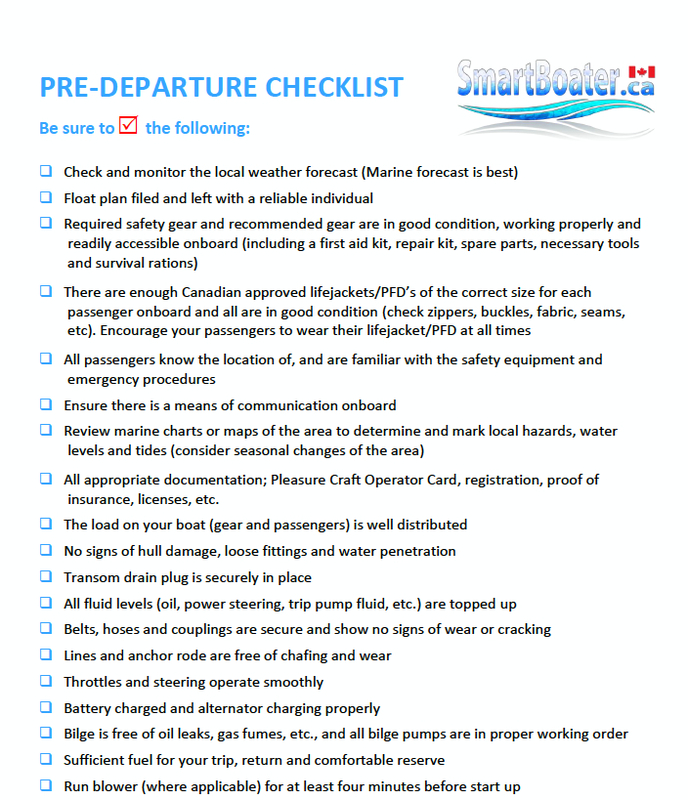 Navigator Norm on C'est la Vie spotted ripples on the water by the King Islets, a sure sign of wind or at least a puff! The plan was to casually head towards the Islets and then at the 10:30 horn blast, hang a right and leave everyone behind in the dust. The plan worked perfectly, and C'est la Vie easily led the pack. While the crew was congratulating themselves and planning their victory speech, they looked looked back and, sure enough, saw in the far distance the rest of the boats with Avare dead last. 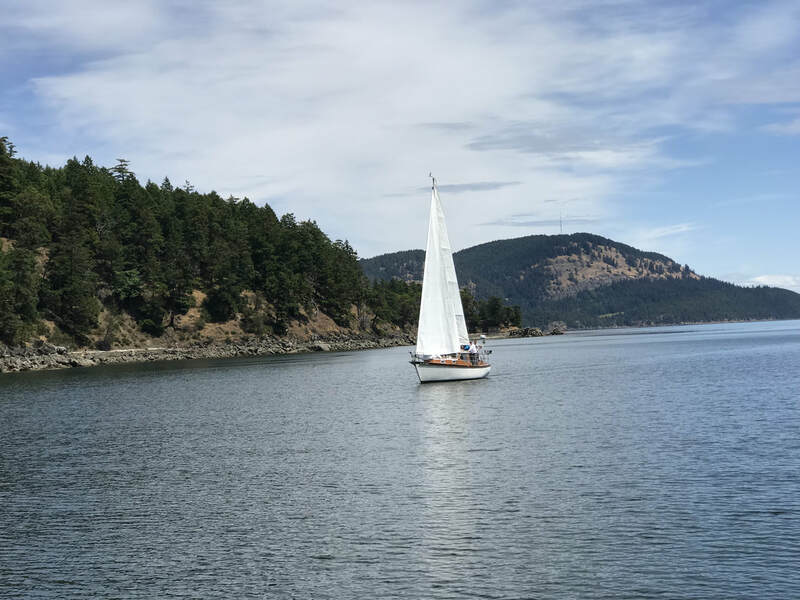 Thinking there were ripples on the water towards Pender Island, C'est la Vie scooted over there, and soon found themselves adrift. Although they still led the race, their moment of glory was tout fini! 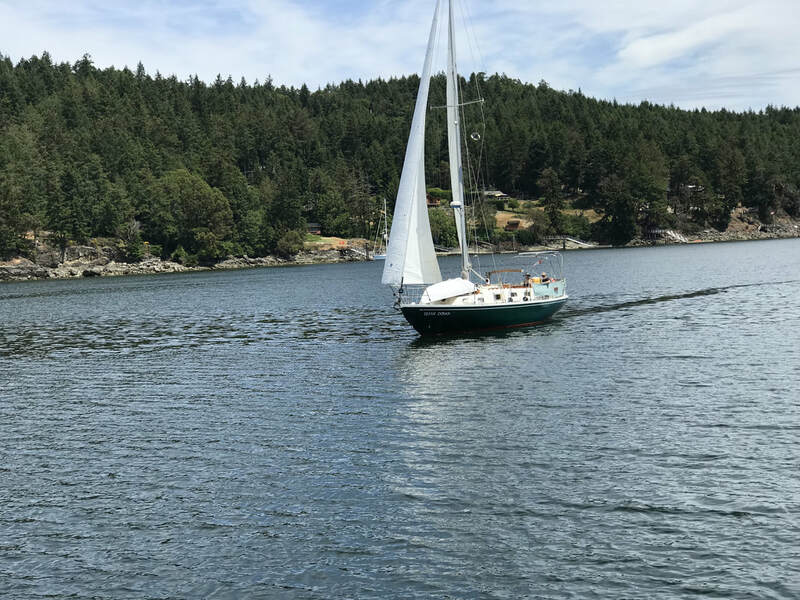 The other boats, led by Eilean Donan, then Kesho, and lastly Avare, kept along the Saturna Island side and very slowly made their way south. It is possible that without a south flowing current, everyone would have been at a stand still or going backwards. 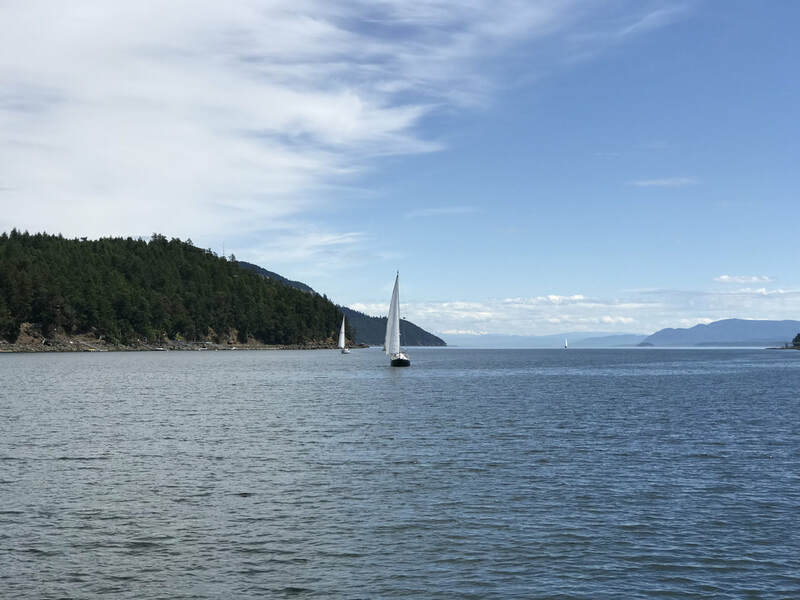 A couple of boats tried their spinnakers, drifters, and wiggled this way and that but to no avail. When it became apparent that there was just a breath of air from the north, C'est la Vie desperately tried praying and going wing-on-wing but neither worked. It looked like Eilean Donan was going to repeat as victor again (their moment of glory) followed by Kesho with its glorious green drifter and the valiant Avare. But wait a minute! 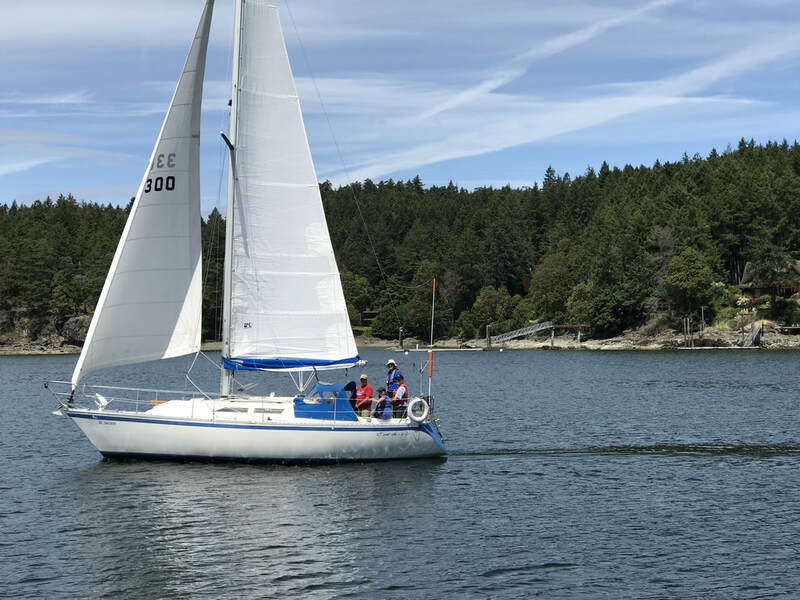 In a comeback worthy of the legendary Team Oracle, Avare, powered by its billowing blue and white spinnaker, slowly gained speed, first passing Kesho, then by Eilean Donan, then past the red marker and into Port Browning for the win! What a comeback for the spunky Hullmaster! 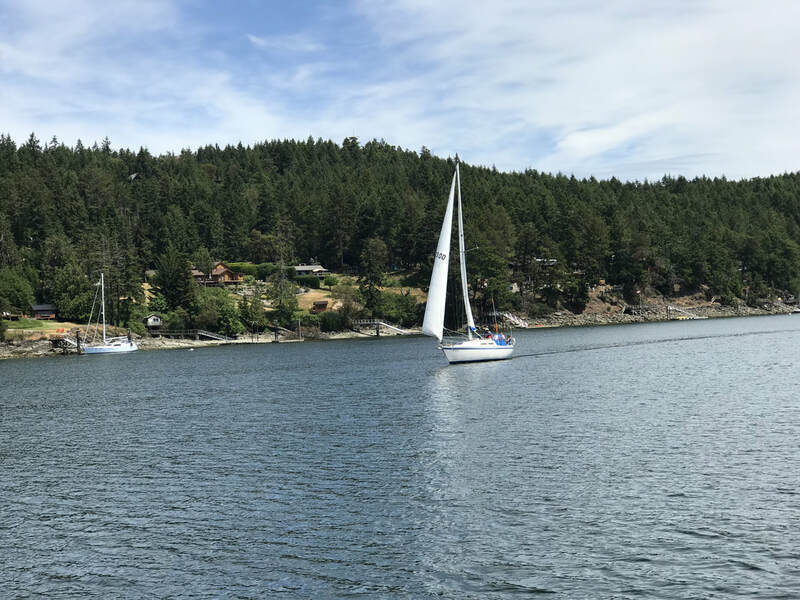 By the time the rest of the boats struggled over the finish line, Blair and Emily had already anchored Avare (under sail, of course) and were climbing into their dinghy as the rest of us lowered our sails, turned on the engines and motored to the docks. The winners were awarded their libations and lunch courtesy of AMIB. There is a racing trophy designed by Elise and when we find it we will award it to Blair and Emily. 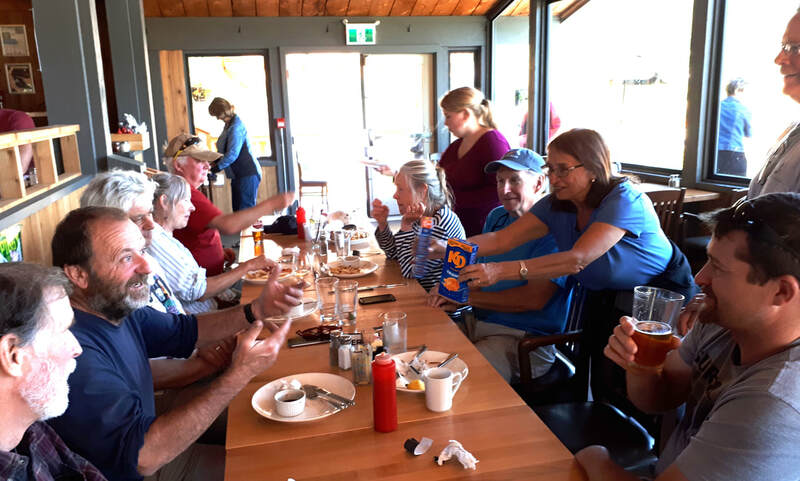 Brian and crew were awarded the coveted Dinner for Two (2 boxes of Kraft Dinner) for hanging in there and for the best looking boat. Thanks to Norm Price for organizing the race. 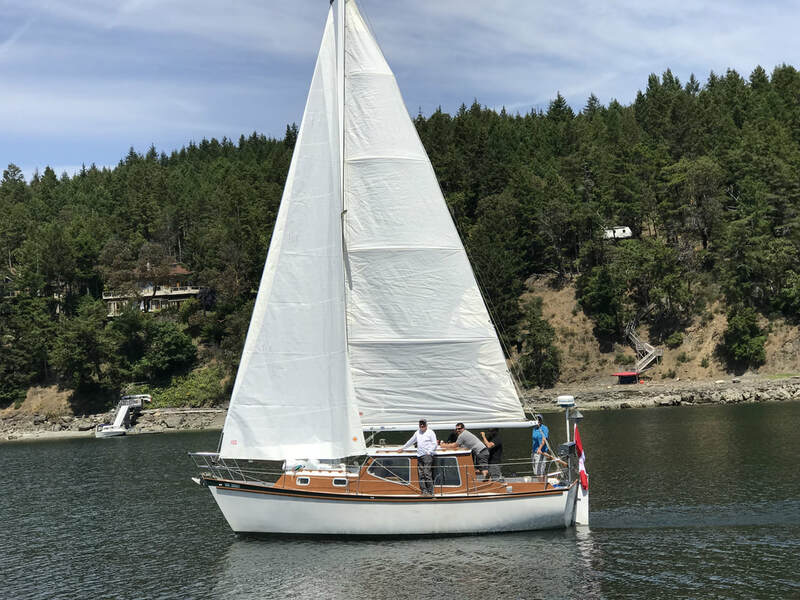 By the way, congratulations to Norm for crewing on the sailboat that finished first in its division in the 2018 Round Salt Spring Island Race. Also, congrats to AMIB Past Pres. Carl for finishing 3rd in his division. Thanks also to Peter for the committee boat. Sorry for keeping you waiting at the finish line. There are plans afloat to do it all again, possibly this fall.